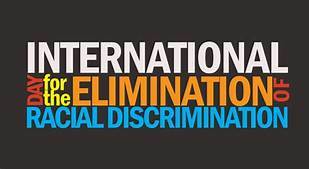 International Day for Elimination of Racial Discrimination. Browse: Home » 2019 » March » International Day for Elimination of Racial Discrimination. There are various ways that each and every one of us can help eliminate racial discrimination among institutions and eradicate prejudices against races. This year’s theme is ‘Mitigating and countering rising nationalist populism and extreme supremacist ideologies’.